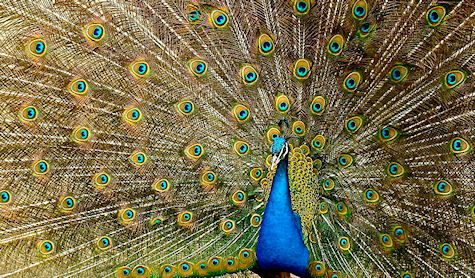 Male peacocks shake their brilliantly-hued, long tail feathers to attract females in a courtship display known as 'train-rattling.' But scientists had never closely examined the biomechanics behind this behavior - until now. A new paper concludes that the frequency at which those feathers vibrate can enhance this iridescent display - even as the eyespots remain almost perfectly still.